Kyle is a classic people-pleaser. He’s been dating Lucy for four years and hopes to marry her. From the beginning, Lucy has been clear that she wants Kyle to attend church with her and finish college. Kyle isn’t particularly interested in church and isn’t sure he even believes in God, but he attends every week. He flunked out of college in his freshman year and knows he doesn’t want to go back. Instead of telling Lucy, he makes excuses for not enrolling in classes. He’s working for his dad’s construction company. Kyle’s father has always talked about wanting Kyle to take over the business. Kyle feels stuck. He’s afraid to tell his dad and girlfriend what he really wants. In fact, most of the time he doesn’t even know what he wants anymore. So, despite being unhappy, it’s easier to just go along rather than risk his dad’s disappointment or Lucy breaking up with him. People-pleasers are like chameleons, always trying to blend in. If they’re less than perfect, “difficult’, or different in any way they fear rejection or abandonment. Being a chameleon can be a survival skill in unsafe relationships. What does people-pleasing have to do with perfectionism? Perfectionism is all about appearing to be perfect on the outside. The best way to do this is to be a people-pleaser. If you figure out what people want and give it to them, they’ll be happy with you. Better yet they’ll love you, which will prove you are worthy and lovable. 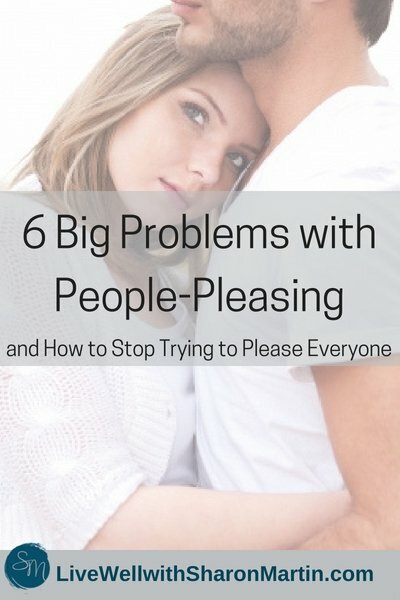 There are six problems with people-pleasing. You have created an impossible situation for yourself. Trying to please everyone means always complying, never complaining or disagreeing. And we all know people who are simply impossible to please, even if you do exactly what they ask. Just like Kyle, when you focus on trying to please everyone, you lose sight of your own values, goals, and personality. It means you never stand up for what you believe in or go after your own dreams. Last week I wrote about perfectionism in adult children of alcoholics. The organization Adult Children of Alcoholics says the same thing: “…we became people-pleasers, even though we lost our own identities in the process.” Whether you’re the child of an alcoholic or not, your true self gets buried when you become a people-pleaser. You’ve come to believe that you have to please others or they’ll reject, leave, or belittle you. You have created a situation where you feel unworthy or unlovable when you don’t please others. In your efforts to make others happy, you do things out of obligation rather out of genuine interest or desire. It might be doing a favor for a friend, loaning money to your brother again, or agreeing to work on Saturday. You are so busy meeting everyone else’s needs that your needs come last (or not at all). You may try to numb them or pretend you don’t have any needs, but this doesn’t work. We all have needs and wants. Some you can meet yourself and some are met in relationships with others. You have to communicate your needs by being assertive and setting boundaries. Otherwise, your needs don’t get met and you eventually become resentful. Try going to a CoDA meeting. Get treatment for your anxiety. People-pleasing is an unhealthy way of managing your anxiety. As you change your people-pleasing patterns, your anxiety will probably increase. I encourage you to work with a therapist or doctor. Identify what you need and begin to ask for it. Being assertive is not selfish. It is OK to have conflicts with others. Appropriately expressing your displeasure or disagreement is a sign of a healthy relationship and healthy self-esteem. Practice doing things you enjoy – pursue a hobby or interest, catch up with friends. Spend time alone. Once you are more independent and realize you’re OK by yourself, you will be less afraid of rejection and abandonment. If you’re a people-pleaser, it’s hard to set boundaries without feeling guilty. Be sure to check out my e-book designed specifically to help people-pleasers with practical strategies for setting boundaries without guilt. ©2015 Sharon Martin. Originally published on PsychCentral.com. Image courtesy of Annette Sousa on Unsplash. True, true, true…. I am a 59 yr old retired nurse, and YES I have always taken care of everyone else first. Was raised by maternal grandparents, whom taught me alot, but I was not ready to listen! My grandmother said “follow your heart” and my grandfather said “follow your gut”…both were right. I do two things for myself; Yoga twice weekly and full massage once a month. TRY to speak from the heart/the head will follow !!! Finally, after 45 yrs I’m learning about where my anxiety comes from! As a child growing up with an alcoholic father I now realise the personality traits I have nurtured to protect myself. These traits have not really protected me rather create more anxiety and fear. I’m now realising that this is unhealthy and slowly peeling away what my true personality is and to be compassionate to myself and in turn learn to love myself more. This has been something I have struggled with for some time and I love your blog post about it. Lately though, I’ve really been working on it and moving past it, giving up and letting go of those that just want everything. I am finding that if I deplete myself in order to be there for them, it doesn’t do much good for me long term. It is a process of growth through all the stuff that was taught to me as a kid. A continuing journey. Thank you for providing an invaluable insight on what it’s like for an individual suffering from the consequences of trying to please everyone in life but oneself. I am at a point in life where I have come to realize that avoiding conflicts or disagreements with all of my loved ones have produced nothing but chaos and resentment in not only my relationships but within myself. Knowing all of these things, would it be best for me to seek help or advice from an impartial third-party, for example a therapist, on effective ways of myself overcoming and correcting my behaviors? I would appreciate any tips regarding this, thank you. 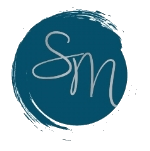 If you have access to therapy, I think it’s a wonderful resource to give you more personalized guidance and support as you try to make positive changes in your life.